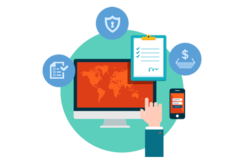 We provide Fixed Asset Management Software. Keeping track of assets can be a challenge to organizations large and small. Assets can move locations, get reassigned to other people, get replaced, etc. Management wants reports about asset allocation, usage and service history. Accounting needs accurate data for tracking inventory and calculating depreciation. 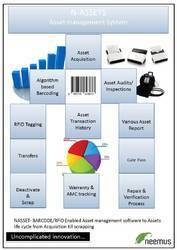 Why AMS | AMS - Overview | Asset Tracking System - Online Demo! Seediff Softsolutions (India) Pvt. Ltd.
We are offering Asset Management System to our client. Our company is highly esteemed in providing Asset Management System to the clients. This Asset Management System is designed under the guidance of skilled professionals at par with set industry norms. Furthermore, we are providing this at affordable rates. We offer Asset Management System to our valuable clients.